Micah Mercer is originally from Tucson, Arizona, but has lived in eleven cities across four countries to date. He served the US Army as a Satellite Communications Specialist in Korea before being convinced that the purpose of his life is to serve the church. Micah pursued theological education at Sydney Missionary and Bible College in Australia, and later at Columbia International University in the USA. He has served churches in Australia, UAE, USA, and South Korea. 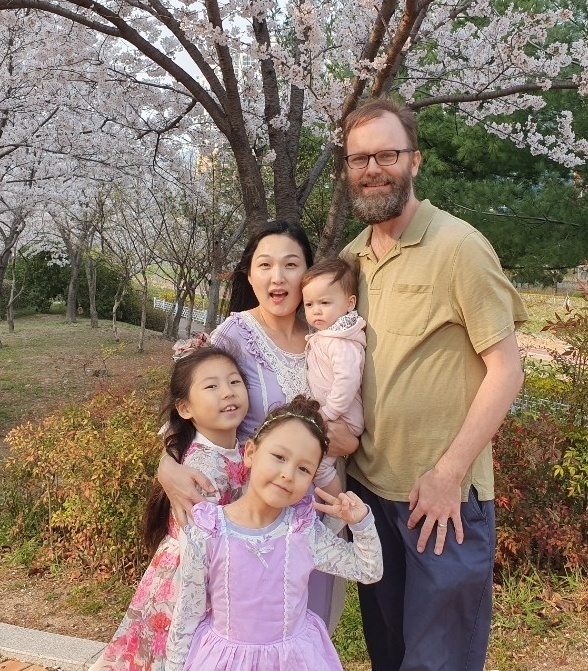 Micah met his wife Yujin in Australia, and they have two daughters: Leah and Rinah. 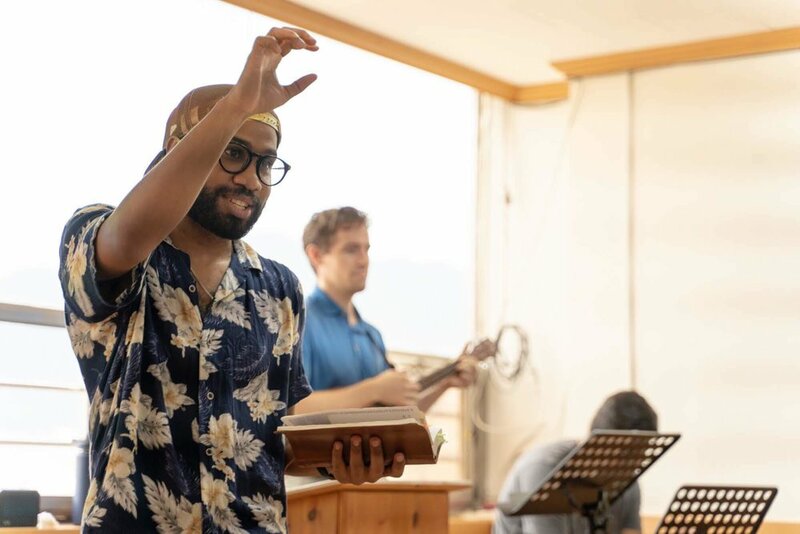 Micah loves teaching the Bible, reading, DIY, travelling, camping, coffee, baking, and trying new foods. Matthew grew up in Texas in a family with 5 siblings. His walk with Christ started when he was a young boy as his mother explained the gospel to him. His faith deepened in university when his relationship with Christ became more personal. Matthew got his bachelor's degree in physics at Sam Houston University and his masters degree in mechanical engineering at Texas A&M University. It was at Texas A&M when he first became interested in missions and Korea as he met many international students. After graduation, he spent three years as a Journeyman missionary with the IMB in Busan. Wanting to stay in Busan after his mission term, he eventually ended up at the Catholic University of Pusan where he is a professor in the department of Environmental Administration. He finished his PhD in mechanical engineering at Pusan National University in 2013. Matthew got married in 2012 and lives with his beautiful wife and 2 daughters. He is hoping for a few more, but is waiting for his wife to give him the green light. Joe was born and raised in central Florida, USA near Kennedy Space Center. He has a Bachelor of Science from Auburn University in Electrical Engineering and over 30 years of church leadership experience. Joe met his wife, Fawn, at church during college. They were married in 1984 just two weeks after graduation and one week after Joe went to work for McDonnell Douglas Space Systems (which later became part of the Boeing Company). In 2016, they came to Busan so that Joe could work for Boeing as a Field Service Representative. They have three grown sons and two grandchildren. They have been members of Redeemer since 2016 and are excited about what they see God doing in this part of the body of Christ. Caleb grew up in New England. He received a degree in Business Administration from NH Tech. and then earned a degree in Bible Theology from Appalachian Bible College. While in West Virginia, Caleb met and married his lovely wife Martha. Shortly after, they moved to Korea together at the start of 2010. Caleb and Martha welcomed Ivy (their first child) into the world in September 2014, and ask prayer for God’s will to be accomplished in her life, that one day she will come to a saving knowledge of Christ and walk vibrantly with our Lord and Savior. Caleb has served at RICC since 2014. Johnny was born and raised in San Diego, California minutes from the US/Mexico border. He graduated in 2010 from California State University Northridge with a degree in Pan African Studies/Political Science. As He began to walk more closely with Jesus after college. He felt the Lord leading him to leave his home and move to South Korea. Soon after he accepted the call to the ministry in the preaching of Gods word. He has previously served as a Deacon from 2015-2016 and has been a member since 2014. He asks you to pray that God would make him into a man after His own heart and that He would be a strong servant leader in the Lord abounding in compassion and wisdom. Contact him here at johnsamuelewilliams@gmail.com.